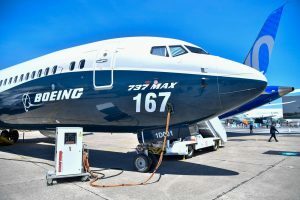 “Boeing is finalising its development of a previously-announced software update and pilot training revision that will address the MCAS flight control law’s behaviour in response to erroneous sensor inputs,” Dennis Muilenburg, President and CEO of the US aircraft manufacturer, said in a statement. Muilenburg’s announcement came after Ethiopia’s Transport Minister Dagmawit Moges said earlier on Sunday that information recovered from the flight data recorder of the Ethiopian Airlines plane showed the March 10 crash which killed all 157 people on board had “clear similarities” with Lion Air’s crash in Indonesia in October, which killed 189 people aboard. Both of the doomed planes were 737 Max 8.